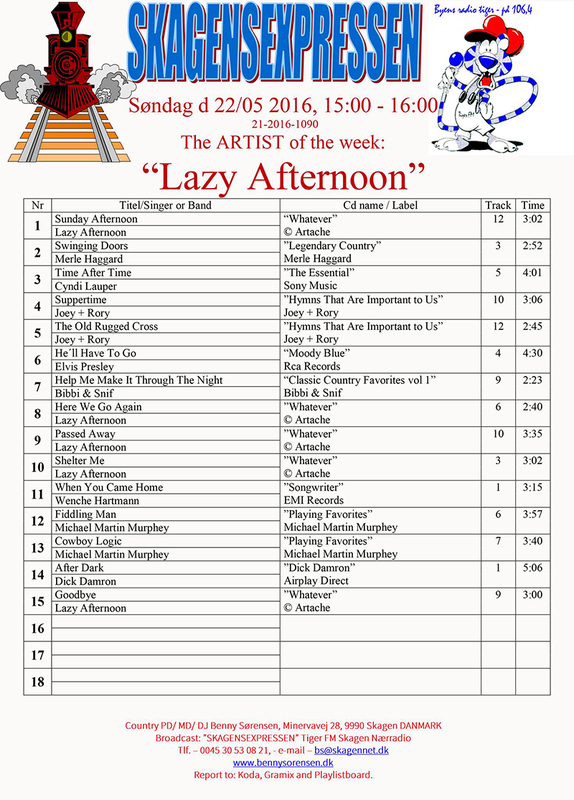 Lazy Afternoon is artist of the week at passionate music blogger and country DJ Benny Sorensens Skagenexpressen. This entry was posted in Press & revues by Tuva. Bookmark the permalink.